After the murder of her husband, 19-year-old Ros and her one-year-old son relocate to live with her parents. Palm Springs &#x2014; full of sunlight, small and safe &#x2014; should be the perfect place to bring up a child. But things aren't always as they appear.<br /><br />When the father of one of Ros's friends is shot in front of her house &#x2014; an incident that also lands Ros in the hospital &#x2014; it marks the beginning of a terrible string of events. Someone is out to get her, and they seem determined not to stop until her friends and family are also drawn in. As she struggles to uncover the identity of her mysterious enemy, Ros finds herself looking for answers in the most unusual places.<br /><br />In <i>Past Crimes,</i> bestselling author Carol Matas once again asks her readers to question their assumption about the world around them. Are we really capable of fully understanding the lives we lead, or do the things we fail to understand far outnumber those that we do? 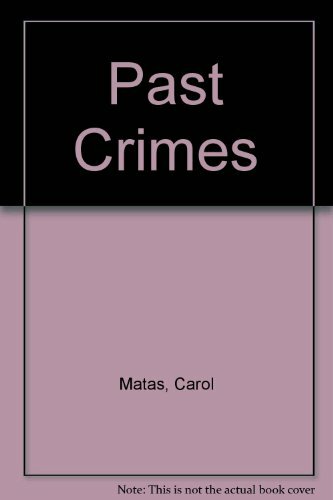 Growing out of her work in books like <i>The Freak, Past Crimes</i> offers an innovative twist on the mystery/thriller genre, and is a must-read for fans of Matas's work. Carol Matas is the internationally acclaimed author of more than thirty novels for children and young adults, including The Freak, Telling, Action, Play Ball, Gotcha, Lisa, and Jesper. Her bestselling work, which includes three award-winning series, has been translated into many languages and has won numerous awards.